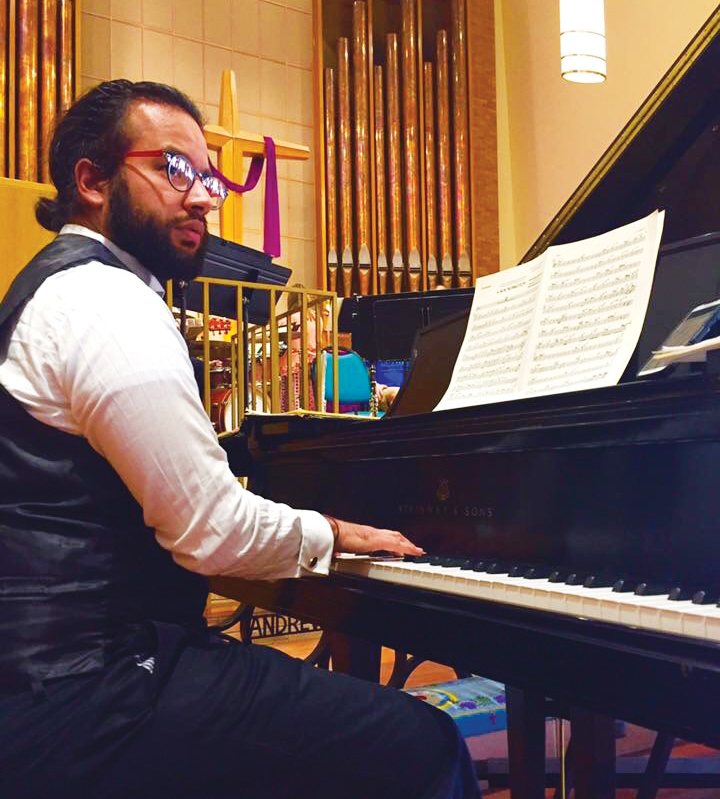 Pablo Gómez Estévez (‘17) plays piano at Augustana Luthern Church. Luther College Jazz Orchestra took advantage of Spring Break to tour and perform while recruiting jazz students. The ensemble left on March 17 to fly to Colorado for their recital and recruitment tour. Colorado was chosen for this year’s tour location because Jazz Orchestra member Elena Zarecky (‘17) is from the state. Zarecky had strong connections to the high schools and churches in the area. They performed at numerous venues including Augustana Lutheran Church and Cheyenne Mountain High School. The performance at Cheyenne Mountain High School particularly stood out to Zarecky. The high school Zarecky once attended opened for Jazz Orchestra’s performance. In addition to the musical performances, Adjunct Faculty in Music Jon Ailabouni (‘10) and Professor of Music Tony Guzman held workshops for the high school students. Guzman believes that opportunities like these help turn young jazz enthusiasts into prospective jazz students for Luther. 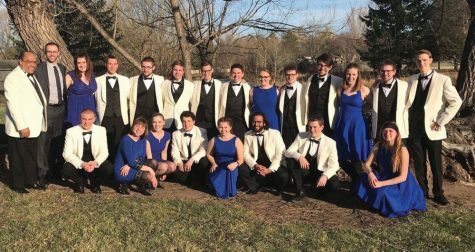 Jazz Orchestra member David Blackstad (‘19) agreed that these tours help bring prospective jazz music students to Luther. Jazz Orchestra visits the Garden of the Gods in Colorado. Blackstad added that the music department recently started jazz recital performances. According to Guzman, these make it possible to have a richer jazz education for those going into that field. Blackstad said he has grown as a musician from individual saxophone, flute, and clarinet lessons and from being a member of the jazz orchestra, combos, and tours. He said that the jazz department equips him with the tools he needs to be a successful graduate student after Luther. “All of the logistical reasons aside, the jazz department is where I spend my time creating musical art and developing my ideas and philosophy of why I play several hours a day,” Blackstad said. Blackstad feels that he has found a deep connection in jazz. Other students on the tour also found that the experience helped them to develop as musicians and prepare them for life after Luther. There was an alumni reception after one of the performances. According to Lange-Pearson, the experience of meeting alumni of the jazz orchestra was positive. “I really enjoyed being able to bond with the rest of the ensemble,” Lange-Pearson said. Jazz Orchestra returned to campus on March 23. Upon their return to campus, Jazz Orchestra performed their homecoming concert on March 30 in the Center for Faith and Life.